HARTINGindustrial connectors are suited for the hardest requirements in industrialenvironments. 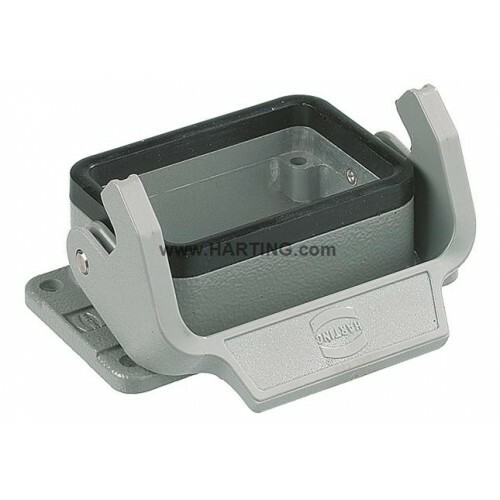 They are used in all applications requiring a safe and removableelectrical connection. The field of application for HARTING connectors is inprotected electrical areas. Forexample-in control cabinets, up to outdoor applications within the harshestenvironmental conditions! Theproduct range incorporates small connectors capable of a few amps up to largemulti-way high power connections. The possible combination of connectors islarge enabling sensitive signals of a few milli-volts, as used in the field ofGigabit transmissions, up to 600 Amps or 5000 Volts for high powerapplications. Han®: 09150043113 HARTING Han 4 Quintax Buchse, 3-9.5mm.HARTING industrial conn..